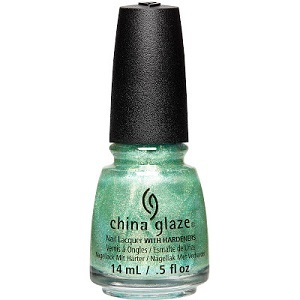 China Glaze Nail Polish, Twinkle, Twinkle Little Starfish, 1491, .50 fl. oz. Pale light sea green glitter and light gold glitter in a slightly tinted base.